MADISON, Ohio - Emerald Hospitality is proud to introduce Kelly Webster as the Director of Sales of the 82 room Hampton Inn Madison, Ohio, which is scheduled to open Summer 2019. Kelly brings to the Hampton Inn an extensive background in catering and rooms management from her 14 years of service with the Embassy Suites brand of hotels. She found herself in various roles during her tenure ranging from Banquet Captain all the way up to Senior Catering Manager. Kelly is a lifelong local of the Madison area and captures business through her warm spirit and unique connections with the community. Kelly studied Hospitality Management at Kent State University and Interned at the Madison Country Club while getting her degree. It was her daily interactions with guests at the country club that sparked her love for serving others in the industry. Kelly is a catalyst for building strong connections within the community and is so excited to see how much Madison and the surrounding area have blossomed over the past 10 years. WESLEY CHAPEL, Florida - Emerald Hospitality Associates is pleased to announce that Charlie Whiteacre has accepted the position as General Manager for our Hilton Garden Inn Tampa – Wesley Chapel. Charlie holds an Associate degree in Computer Networking Systems and a Bachelor’s degree in Business Management from University of Florida. Charlie comes to us with extensive Hilton Garden Inn experience. He has worked for Hilton Garden Inn since 2007. Charlie has lived in Florida his entire life. SECAUCUS, New Jersey - It is with great pleasure to announce Joel Ruiz as the newly appointed Director of Sales at the Hilton Garden Inn in Secaucus, New Jersey. Joel was born in Queens, New York but raised in Hoboken, New Jersey. Joel has a Business Management Bachelor of Science degree from Rutgers Business School. He has worked in the hospitality industry since 2006, and has approximately ten years experience at various Hilton properties. He has been successful as a Front Office Manager, a Corporate Sales Manager, and as a SMERF & Association Sales Manager. WACO/WOODWAY, Texas - Emerald Hospitality is proud to announce Justin Kuzski as the newly appointed General Manager at the SpringHill Suites by Marriott Waco/Woodway, Texas. Justin joined Emerald Hospitality Associates on Monday, January 28, 2019. Justin has a Bachelor of Science degree from Texas Tech University where he enjoyed five years on the Hockey team and held the position of University Hockey Club President. Justin brings a diverse knowledge and experience of our industry, from Engineer and Food and Beverage Supervisor at the Embassy Suites Hotel, to Director of Rooms and Task Force for a full service Marriott. WESTLAKE, Ohio - As part of the year long celebration of the Emerald Hospitality Associates, Inc.'s 20th Anniversary, for the month of February we hosted a local non-profit organization, Moose's Mission, at our corporate office and the team made blankets to keep the animals warm this winter. The blankets were made and delivered to local animal shelters. ORLANDO, Florida - We are pleased to announce that Gerald Miller has accepted the position of General Manager for the Hilton Garden Inn Orlando East/UCF. Gerald received a Bachelor of Science Degree in Hospitality Management from Kent State in 2006. He began his career with Emerald Hospitality in 2009, as the General Manager of the Hampton Inn located in Newcomerstown, Ohio. For the last six years, Gerald has been very successful as the General Manger at the SpringHill Suites in Waco, Texas. Gerald is very excited to settle into Orlando and call it his new home. AUBURN, New York - Amanda Hennessey has been appointed to the position of Director of Sales at the Hilton Garden Inn located in Auburn, New York. Amanda started her career with Emerald Hospitality in 2012 at the Hilton Garden Inn Syracuse as the Sales Administrator. Last year, Amanda was promoted and transferred to the Hilton Garden Inn Auburn as the Catering Sales Manager. In her spare time, Amanda loves spending time with her boyfriend and her rottweiler. They like to travel and discover new places. Their favorite is to go on long hikes near waterfalls. When calculating the final results, Emerald weights ETQS highest at 60% with the revenue and profitability weighted at 40%. The hotel team that wins the Peak Performance Award receives $500 for a team wide celebration and a coveted Emerald Hospitality Peak Performance engraved plaque as well as bragging rights. And now… the Q3 2018 Peak Performance Award winner is…. the SpringHill Suites by Marriott Waco Woodway led by General Manager, Gerald Miller! Congratulations to the Team! PLYMOUTH, Michigan - It is with great pleasure that Emerald Hospitality Associates announces Jaclyn Taylor as the newly appointed General Manager at the Hilton Garden Inn Plymouth. She joined Emerald Hospitality Associates on Tuesday, November 13, 2018. Jaclyn was born and raised in Grosse Pointe Woods, Michigan. She started in the industry working a summer job at the Courtyard Marriott in downtown Detroit, while she was home for summers from college. She worked there for four years. During her time at the Courtyard, she realized she was meant for the industry and changed her college major to hospitality. She then worked for the MGM Grand hotel in downtown Detroit. This prompted her to decide she would prefer working with a branded hotel company rather than a casino hotel. She then moved out to North Salem, New York and began working at the Hilton Garden Inn in Danbury, Connecticut. She started there as a Guest Service Agent, and was promoted all the way up to the General Manager position. She worked there for more than seven years but realized she wanted to relocate to a hotel closer to her family in Michigan. She accepted a position at a Hilton Garden Inn in Indiana. She stayed there for one year, before applying for our open position at the Hilton Garden Inn Plymouth. SYRACUSE, New York - Emerald Hospitality Associates, Inc., is pleased to announce Ashlyn Pulvermiller as the newly appointed Complex General Manager for the Hilton Garden Inn Syracuse and the Homewood Suites Syracuse. She joined Emerald Hospitality Associates on Monday, November 5, 2018 in her new role. Ashlyn began her career working with Spire Hospitality at the High Peaks Resort in Lake Placid, New York. She began as the Food and Beverage Manager but moved very quickly into the role of Director of Food and Beverage. She then moved onto the Director of Operations position. Next, she accepted the position as an Assistant General Manager with Interstate Hotels & Resorts in 2014, and then on to a higher-level position of Director of Training and Development for Streamsong Resort in Florida. Next, she began working as General Manager of several properties throughout the country and as a Task Force General Manager she worked at Marriott, Hilton, and IHG brands. Most recently, she settled back in Syracuse, New York as General Manager at the Embassy Suites in East Syracuse. Ashlyn studied Government at Saint Lawrence University. Prior to her hospitality career, Ashlyn was a Paralegal in the United States Army. SECAUCUS, New Jersey - Emerald Hospitality Associates, Inc., is pleased to announce Corey Cruppi as the newly appointed General Manager at the Hilton Garden Inn Secaucus/Meadowlands! He joined Emerald Hospitality Associates on Monday, October 29th in his new role. Corey began his career working at the Fairfield Inn at the Rochester Airport. He has experience working in sales, event planning, and operations management at hotel brands like Marriott and IHG. He has also worked at an independent hotel, the RIT Inn, located in Henrietta, New York. Before moving to New Jersey, he was the General Manager at the Holiday Inn Express in Rochester, New York and most recently he was the Hotel Manager at the Four Points Mid-Town in Times Square. Corey studied Tourism Management at SUNY Brockport. In his final semester, he worked at Madison Square Garden managing events for the New York Knicks, and Rangers. Since graduating, he has occasionally spoken as a guest speaker at SUNY Brockport in their Marketing and Tourism classes. When he is not at work, he loves the outdoors. He bikes, kayaks, and hikes. He also enjoys trying new restaurants in the New York and New Jersey areas. Corey is very excited in joining our company and to act as a General Manager at his first Hilton branded hotel. ITHACA, New York - Kilpatrick's Publick House, in conjunction with the Hilton Garden Inn located in Ithaca, New York, will be participating in #givingtuesdays to benefit a local non-profit organization. Each quarter of the year, a different non-profit is selected and on every Tuesday from 4-7 P.M., 50% of drink sale proceeds benefit the non-profit. During the 3rd quarter (July, August and September), the Pub hosted Tuesday night “Yappy Hour” to benefit the local SPCA. The events were a success, and the Tuesday event to has been renamed “Pub with a Purpose.” The hotel staff collaborate to choose the entity. This quarter is the Tompkins Center for History & Culture. WESLEY CHAPEL, Florida - Emerald Hospitality is pleased to introduce Robert Knauff as the General Manager and Lisa Moore as the Director of Sales at the soon-to-be open 124 room / 3,600 square foot Hilton Garden Inn Tampa-Wesley Chapel. Robert joined Emerald Hospitality Associates as the General Manager of the soon to open Hilton Garden Inn Tampa – Wesley Chapel. Robert began his hospitality career over 30 years ago as a busboy in Orlando. He got the bug early, holding many positions in the hotel and having his first GM position 20 years ago in Mississippi at a Courtyard by Marriott. Robert found his love for Hilton nearly 10 years ago when he became an opening GM at a Homewood Suites. When Robert is not at work he can be found spending time with his wife, dog (Cody) and pet squirrel (little guy). He also loves playing the guitar. Lisa brings to the Hilton Garden Inn and Emerald Hospitality Associates a solid hospitality background. She has had a successful career in both Catering Sales as well as Rooms Sales and has served in a Director capacity since 2008. Lisa’s success in the Director of Sales role was recognized by her last management company with a promotion to Regional Director of Sales where she supported the sales & marketing efforts of five different Florida properties. In her role as Director of Sales at the Hilton Garden Inn Tampa-Wesley Chapel, Lisa will oversee and actively participate in all revenue generation activities including sales, marketing, revenue management, eCommerce and eMarketing. Additionally, she will work in close partnership with the Director of Sales at the Hampton Inn & Suites Tampa Wesley-Chapel in cross promoting and maximizing sales efforts & revenues for both properties. SECAUCUS, New Jersey - It is with great pleasure that we introduce Agnes Yoon as the General Manager and Jim Clancy as the Director of Sales at the Hilton Garden Inn in Secaucus, New Jersey. Agnes joined Emerald Hospitality Associates as the General Manager of the Hilton Garden Inn Secaucus, New Jersey when Emerald Hospitality began managing this hotel, on July 1, 2018. She has over nineteen years' experience as a General Manager, most recently with the Hampton Inn in Ridgefield Park, New Jersey. Upon the sale of that hotel, Agnes began working for the management company, PKY Properties, as the Regional Manager. In this role, she was involved with the day to day operations of four hotels. Agnes is very excited to take on the General Manager position with the Hilton Garden Inn Secaucus! She is motivated to bring the hotel to a higher performance level by her interaction with the associates. Jim joined the team at the Hilton Garden Inn in Secaucus thirteen years ago, as the Director of Sales. Having been working at this property for so many years, he brings wonderful hotel and market knowledge, with many connections in the community. AVON, Ohio - The Residence Inn by Marriott located in Avon, Ohio, has recently been honored with awards by three different organizations. First, the property was awarded with the 2017 Performance Award by the Residence Inn by Marriott Brand, recognizing the Avon property as being the "best of the best among our brand - a true star of Residence Inn." The website hotels.com also noted that the Residence Inn was loved by guests with the Most Wanted Award 2018. Finally, Cleveland.com named the Residence Inn as the Best Wedding Venue in Cleveland for 2018, the second year in a row. Emerald Hospitality Associates, Inc., is honored that its hotel is recognized for excellence, and we are proud of all our staff at the hotel that make it such a great place for our guests and a wonderful venue for their events. 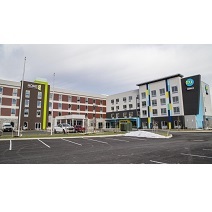 WILLIAMSVILLE, New York – Home2 Suites and Tru by Hilton Williamsville Buffalo Airport, managed by Emerald Hospitality Associates, Inc., today announced that Evan Baker has been appointed as the hotel’s new Complex General Manager. The Home2 Suites is a 86 suite hotel located at 48 Freeman Road, (Building A) and is one of Buffalo’s first dual branded properties with the 79 room Tru by Hilton (Building B). As General Manager, Baker will be in charge of directing all aspects of hotel operations, including guest services and satisfaction, hotel administration, and overseeing marketing efforts. As a Complex GM, his duties will cover two hotels within the Hilton family of hotels, under one roof, sharing common areas such as fitness center, laundry and swimming pool. “Evan has a dedicated and impressive record in hotel management and will be a valuable asset to the property and to the team,” said Kim Madigan, Director of Operations with Emerald Hospitality Associates. Prior to joining the Home2 Suites by Hilton and Tru by Hilton Williamsville Buffalo Airport, Evan was in hotel management in the greater Buffalo region. The 165 room, four-story hotel features the two brands with two front desk check in areas, two breakfast/lobby areas and one pool and fitness center. The two hotels share common operations areas such as laundry, break room and housekeeping storage. WESTLAKE, Ohio - Emerald Hospitality Associates, Inc., is proud to announce the groundbreaking of the Hampton Inn by Hilton to be built in Madison, Ohio, east of Cleveland. JCI Contractors out of Ashtabula will serve as the general contractor for the project, a 54,000-square-foot hotel that will occupy two acres and feature an indoor pool, fitness center, and meeting room. It is expected to be completed by late spring of 2019. Madison Village Administrator Dwayne Bailey said the new hotel — as well as a partnership between Lake and Ashtabula counties — is important for the village, the region and the area’s tourism growth. Emerald Hospitality Associates, out of Westlake, will manage the hotel on behalf of Vineyard Hotel Group, LLC, which will own it. James Gerish, President of Emerald, said he was excited to see more than 60 people show up for the event. “We have 24 hotels and we have another two underway,” he said, adding, “We are really looking forward to being a good citizen here.” Madison Village Council President Duane Frager said seeds planted five years ago helped pave the way for the hotel construction. “We wanted to open the door and show the world what a great story Madison is,” he said. WESTLAKE, Ohio - Emerald Hospitality Associates, Inc. announced today the addition of the Hilton Garden Inn Secaucus/Meadowlands to their portfolio of managed hotels. The Hilton Garden Inn is located at 857 Route 3 in Secaucus, New Jersey, just three miles from the entrance to the Lincoln Tunnel and mid-town Manhattan, 20 minutes from Newark international Airport (EWR), and a short drive to MetLife Stadium and Meadowlands Sports Complex. The hotel offers 124 guest rooms with complimentary WiFi, microwave, refrigerator, and Keurig coffeemaker. An indoor heated swimming pool, fitness center, and meeting rooms to accommodate up to 100 people along with a Garden Grille restaurant serving breakfast and dinner round out the amenities available to guests. “We are very pleased to engage with this fine property and the ownership of Townley Place Secaucus LLC,” said Ed Pavente, Chief Operating Officer. “Building upon the current success of this established property, we look forward to bringing our team’s vast experience and proven formula for operating in the upscale focused segment of hotels to the Hilton Garden Inn Secaucus/Meadowlands.” This Hilton Garden Inn represents Emerald's first property in the state of New Jersey and is an excellent complement to their existing eastern region. Team Emerald raised $9,845.00 in support of the American Lung Association as they participated in the 34th annual Trek Across Maine over the weekend of June 15-17, 2018. The event featured 1,200 bicyclists and 600 volunteers as they biked 180 miles over three days from Bethel, Maine to Belfast, Maine. This year’s team had 12 riders representing Team Emerald. With the support of the Emerald Foundation matching funds of $250 per rider, the team was able to raise $9,845.00 in support of clean air for everyone. The entire event raised over one million dollars for the American Lung Association this year. Team Emerald enjoyed gorgeous weather as they biked through the hills of western Maine to the ocean, stopping at rest stops along the way with enough peanut butter and jelly sandwiches to satisfy everyone. WESTBOROUGH, Massachusetts - The Hampton Inn located in Westborough, Massachusetts, received recognition from Hilton for the team's efforts in enrolling new Hilton Honors members with both the Hit a Hole in One and the Chip Shot Challenge. The Hit a Hole in One recognizes outstanding efforts to enroll new Hilton Honors members. The Chip Shot Challenge recognizes the hotel team for enrolling 125% of new guests into the Hilton Honors program. BUFFALO, New York - On Tuesday May 8, 2018 at the Buffalo Niagara Convention Center the Beacon Awards luncheon named its list of winners. The new category Rookie of the year was announced for General Managers who have been in their position for two years or less. One of the two winners was Hyatt Place Buffalo/ Amherst General Manager Matthew Chiazza. Matthew is not new to the industry but new to the position of General Manager of the 137 room Hyatt Place hotel, located just off the 290 in quaint Amherst, New York. Some of the comments from his staff who nominated him were: “Matt is a team player. He is always willing to help. It is not abnormal to see him in a suit, tie tucked, making beds, emptying linen bins, or making eggs. His attitude towards his team is one that resonates with the entire staff.” He goes above and beyond, and it makes the staff go the extra mile also. ”Matt, is well versed in many departments, and uses his skills and ability to help each team member." Matthew says on a daily basis "we are all a team," and it is felt in his actions. PRESQUE ISLE, Maine - Hampton by Hilton, Hilton’s global mid-price brand of more than 2,200 hotels, has recognized Hampton Inn by Hilton Presque Isle with a Circle of Excellence award. The award signifies the hotel as one of the top performing properties within the brand. It is presented to hotels that have excelled in service and growing customer loyalty. Circle of Excellence Award winners are selected annually by the Hampton by Hilton. This award recognizes the top 15% of the brand based on customer feedback for overall accommodations measured through guest satisfaction surveys about the hotel, as well as product quality and service scores. The property will also receive a brand trophy to display in their lobby. WESTLAKE, Ohio – Emerald Hospitality Associates, Inc. announced today they have opened their first dual branded hotel – the Home2 Suites & Tru by Hilton, Williamsville Buffalo Airport, New York. The hotel also represents the first Tru by Hilton to open in the state of New York. “We are so excited to bring this concept to the Buffalo area and be a part of this Home2 Suites / Tru by Hilton partnership,” states Ed Pavente, Chief Operating Officer for Emerald. “It combines two complementary Hilton brands in the midscale segment. Each Hotel offers travelers their signature amenities while sharing the commitment to guest service and hospitality that Hilton Worldwide and Emerald Hospitality Associates are known for.” The 165 room, four-story hotel features the two brands with two front desk check in areas, two breakfast/lobby areas and one pool and fitness center. The two hotels share common operations areas such as laundry, break room and housekeeping storage. The hotel will be Emerald Hospitality’s first dual branded hotel and adds to their already growing portfolio of 22 hotels of Hilton, Marriott and Hyatt Hotels Corporation. This year some employees and associates of Emerald Hospitality will be participating in the American Lung Association’s annual Trek Across Maine, which seeks to raise money for the Association. The Trek is scheduled from Friday, June 15th to Sunday, June 17th. The Emerald Foundation will also be making a donation in support of the riders. The Trek Across Maine is a 3-day, 180 mile route cycling tour from the mountains of Sunday River Ski Resort to the sea in Belfast. Overnight stops at the University of Maine in Farmington and Colby College in Waterville provide a place to rest and relax after each leg of the Trek. Activities, entertainment and food are all a part of the full Trek experience at each location. Each rider is expected to raise $550.00. The Emerald Foundation has agreed to match all of the Emerald Hospitality team's individual riders’ funds raised up to $250.00. In addition to the match, Team Emerald riders will also receive a complimentary custom cycling jersey, courtesy of the Emerald Foundation. If you wish to donate in support of Team Emerald, please click here. ORLANDO, Florida - Emerald Hospitality Associates, a premier full service hotel management and development company based in Westlake, Ohio, announced today that they have purchased and will manage the Hilton Garden Inn Orlando East / UCF Area hotel. This acquisition is in partnership with Nimbus Investment Fund, LP, an independent affiliate of Emerald Hospitality. The announcement was made by Edward Pavente, Chief Operating Officer of Emerald Hospitality Associates. “This is an exciting opportunity for us to enter the Orlando market as we take the reigns of this well performing hotel” said Pavente. “The Hilton Garden Inn Orlando East represents our 9th Hilton Garden Inn and brings our portfolio to 24 hotels” comments Pavente. “This hotel represents the type of asset that both Emerald and Nimbus Investment Fund seek to acquire: high quality, premium branded hotels in thriving potential-filled markets.” The Hilton Garden Inn Orlando East / UCF Area, offers 122 guestrooms, an extensive lobby featuring the Garden Grille & Bar as well as Pavilion Pantry. Other hotel feature include 24-hour fitness center, business center, outdoor pool and 1500 square feet of meeting space. In 2014, the hotel completed a comprehensive $2 million renovation introducing the Hilton Garden Inn’s Project Grow lobby refresh, thorough upgrade of all guestrooms as well as public interior and exterior upgrades. Emerald Hospitality has plans in place to continue the upgrades with enhancements outdoor spaces, additional lobby upgrades and more. The Hilton Garden Inn Orlando East / UCF Area provides travelers with award-winning service, inviting social spaces, and high-end amenities ensuring a great stay at an even greater value. All Hilton Garden Inn guests will enjoy the brand’s signature bedding featuring fresh, white duvets and crisp linens, complimentary Wi-Fi, a 24-hour business center, state-of-the-art fitness center, Keurig coffee maker and a full service restaurant and bar offering full cooked-to-order breakfast, dinner, cocktails, and evening room service. WILLIAMSVILLE, New York – Home2 Suites by Hilton Williamsville Buffalo Airport, managed by Emerald Hospitality Associates, today announced that Mitch DeMeyer has been appointed as the hotel’s new general manager and Matthew Freeman has been appointed as the hotel’s new director of sales. The 86-suite hotel is located at 48 Freeman Road, Building A. The property is one of Buffalo’s first dual branded properties with the 79 room Tru by Hilton (Building B) currently under construction and is scheduled to open March 2018. As general manager, DeMeyer will be responsible for directing all aspects of hotel operations, including guest services, hotel administration, and overseeing marketing efforts. “Mitch brings extensive experience in the hospitality industry as well as a commitment to excellent guest service," said Kimberly Madigan, Regional Director of Operations, Emerald Hospitality. “We are confident that he will be instrumental in ensuring the success of our hotel.” Prior to joining Home2 Suites by Hilton Williamsville Buffalo Airport, DeMeyer was the Rooms Division Manager for another hotel. DeMeyer is a graduate of Paul Smith College and holds a Bachelor’s degree in Hotel Management. DeMeyer spoke of Freeman, the new Director of Sales, saying “Matthew brings extensive experience in sales and the hospitality industry. We believe that his overall strengths and passion for building relationships will be essential to the ongoing success of our hotel.” Prior to joining Home2 Suites by Hilton Williamsville Buffalo Airport, Freeman was an area sales manager for another hotel company. Freeman is a graduate of The College at Brockport and holds a Bachelor’s degree in Recreation & Leisure with a concentration in Management. He is actively involved in the Amherst Chamber of Commerce. PORTLAND, Maine - Embassy Suites by Hilton Portland, Maine recently hosted the Grand Opening of their new in-house restaurant, Waypoint. In attendance for the ribbon cutting celebration were ownership representative from KTB Hospitality, Roger Beaulieu and wife Jane Gagne, along with several executives from Emerald Hospitality, the property's management company based out of Ohio. The new restaurant and bar boasts 100+ seats total in the modern urban edge dining area as well as in the Hotel's recently renovated atrium and private garden patio. Offering a diverse selection of American style fare, Waypoint's menu provides guests with a true Maine experience, catering to those stopping by for business and/or leisure. From seafood to "Deli Destinations," pizza, burgers, and steak (all moderately priced), guests will discover this travel themed dining experience to be one of the best values just outside of the Old Port. "Why Waypoint? Well, by definition, a waypoint is a stopping place along a journey," said Scott McKenney, General Manager of Embassy Suites by Hilton Portland. "It only seemed appropriate given the property's central location to all things travel related." Being the most convenient to the Portland International Jetport, just off of two major highways, and only a few miles from the Transportation Center as well as Portland's bustling Old Port District, travelers have long made Embassy Suites by Hilton Portland one of their waypoints over the years. The new restaurant will not only provide these frequent travelers with a refreshing new menu, but it will also attract those newcomers who have not yet discovered this hidden gem in Portland. McKenney says that the restaurant is both family friendly and business oriented. "Kids receive a retro 3D Viewfinder as their menu and there is even a giant world map mounted on the wall with magnetic pins for them to mark where they're from or perhaps their next waypoint," McKenney added. At the same time the menu attracts working professionals from near and far. Not only can business professionals host meetings catered onsite in one of Embassy Suites' function spaces, Waypoint now offers offsite catering options to neighboring businesses. One unique advantage to Waypoint is the ability for local patrons to earn Hilton Honors points. "Now, anyone who dines at Waypoint, even if they're not a guest of the hotel, can earn Hilton Honors points - this is a game changer," said McKenney. AUBURN, New York - The Warm the Children coat giveaway was held on Thursday, October 26th, at the Hilton Garden Inn in Auburn, New York. More than 1,000 people in Cayuga County applied for Warm the Children, a national program that provides brand new winter clothing to families in need. Each year, hundreds of families are referred to Warm the Children, which is primarily funded by businesses and individual donations. In Cayuga County, the Cayuga-Seneca Community Action Agency, Auburn Rotary Club and The Citizen put on the event, piling hundreds of coats, boots, hats and scarves for children ages 0 to 14 in the ballroom at the Hilton Garden Inn. EAST SYRACUSE, New York – Homewood Suites by Hilton Carrier Circle, owned by Pioneer Companies and managed by Emerald Hospitality Associates, was recognized as a 2017 CenterState CEO Economic Champion. Each year this event celebrates the region’s outstanding businesses and organizations as Economic Champions for having hired new employees; expanded, relocated or made capital investments due to growth; received a local, statewide or national award; or celebrated a significant milestone or anniversary. Stephanie Forbes, the Director of Sales, represented the hotel at the events luncheon where CenterState recognized the Homewood Suites for their achievements. “The Homewood Suites Carrier Circle is thrilled with this recognition from the CenterState CEO. Our team works hard to take care of guests from around the world and it is always nice to be recognized,” said Forbes at the annual luncheon. WESLEY CHAPEL, Florida - The Hampton Inn & Suites Tampa/Wesley Chapel is pleased to announce that Brian Jackman has accepted the position of General Manager. Brian found his passion for hospitality in 2003 when he started as an overnight shuttle driver. He has worked his way through the ranks and served as our Operations Manager on property for nine years prior to being promoted to General Manager. Brian is originally from Barbados where his family started Mount Gay Rum in 1703, the oldest Rum in the world and is still be produced and distributed today. Brian moved to New York City in 1985 where he lived for 16 years before moving to Florida. He loves traveling in his free time. AMHERST, New York – The Hyatt Place Buffalo/Amherst, Emerald Hospitality Associates and Iskalo Development are pleased to announce the addition of Matt Chiazza as the hotel’s General Manager. The 137 room Hyatt Place Buffalo/Amherst is located at 5020 Main Street in Amherst. Matt graduated from Niagara University with a degree in Hotel/Restaurant Management and brings more than 10 years of experience in the hospitality industry to the position. As General Manager, Chiazza will direct all areas of the hotel’s operations, including guest services, sales and marketing efforts and hotel administration. “Matt’s background in revenue management and focus on customer service, as well as the overall guest experience is one of the many reasons we picked him for the position. Based on his outstanding record in hotel management, we are confident that he will be instrumental in ensuring the success of the Hyatt Place Amherst,” said Kim Madigan, Director of Operations for Emerald Hospitality Associates. WESTLAKE, Ohio - As our industry continues to evolve and the needs of our individual properties change, Emerald Hospitality has committed to adding another layer of support at the corporate level to better serve our hotels. In a growing competitive marketplace, the ability to manage the many different aspects of digital marketing, social media, and online presence continue to be very challenging and it is more important than ever before to ensure our portfolio of hotels and restaurants are properly positioned to maximize their revenue potential. Our Revenue Generation team has worked diligently over the last several weeks, interviewing many qualified candidates for our newly created eCommerce Manager position. After a successful recruitment process, we are pleased to announce the addition of Marko Rulek to our Emerald corporate team. Marko comes to us with a background in hotel management as well as eCommerce and digital marketing analytics. He was born in Croatia and obtained his Bachelor's degree in Business Management specializing in hospitality and marketing at the Rochester University of Technology. We are confident that with his support our hotels will achieve the level of success needed in this increasingly critical area of our business. WESTLAKE, Ohio - Emerald Hospitality Associates, Inc. announced today that they will be developing the dual branded Home2 Suites & Tru by Hilton to be located at the Williamsville Buffalo Airport in New York. The property is currently under construction at 48 Freeman Road, Buildings A&B in Lancaster and scheduled to open in March 2018. The 165 room, four-story hotel will feature the two brands with two front desk check in areas, two breakfast/lobby areas and one pool and fitness center. The two hotels will share common operations areas such as laundry, break room and housekeeping storage. The hotel will be Emerald Hospitality’s first dual branded hotel and adds to their already growing portfolio of 22 hotels of Hilton, Marriott and Hyatt Hotels Corporation. BUFFALO, New York – The team at the Hyatt Place Buffalo Amherst, Iskalo Development and Emerald Hospitality Associates, welcomes LaToya Williams to her new role as our Director of Sales. LaToya brings more than 20 years of varied hotel experience, from her start as a front desk agent while attending college, to her most recent experience as Senior Sales Manager at the Hyatt Regency Buffalo. LaToya holds a Bachelor’s Degree from Buffalo State College and her M.B.A. from Capella University. LaToya’s passion for hospitality is reflected in the relationships that she has developed and grown over the years. “We are excited to have LaToya join our sales efforts and assist with further developing our sales and marketing strategy,” said AnnMarie Taft, General Manager, Hyatt Place Buffalo Amherst. Ithaca, New York - On Tuesday, May 2nd, 2017, Challenge Workforce Solutions celebrated its 49th Annual Awards Event at the Hangar Theatre in Ithaca, NY. This evening of inspiration was filled with stories, performances by Running to Places Theater Company, The Destination, food provided by Word of Mouth Catering, and recognition of various Challenge participants and more. At the event, the Hilton Garden Inn of Ithaca was acknowledged as the Business Partner of the Year for its dedication to helping Challenge Workforce Solutions carry out its mission. Challenge Workforce Solutions is a non-profit organization whose mission is to support people with disabilities and employment barriers in developing their skills and interests to meet the ever-changing needs of today’s workplace and be productive, contributing members of their community. Challenge was founded in 1968 by Robert R. Sprole, Sr., the former President of Therm. The Hilton Garden Inn and its restaurant, Kilpatrick’s Publick House, employ individuals from Challenge Workforce Solutions to work in various imperative positions within housekeeping and the kitchen. The General Manager of the Hilton Garden Inn of Ithaca, Teri Tarshus, accepted the Business Partner of the Year Award at the 49th Annual Awards Dinner, stating the workers who come from Challenge benefit the housekeeping staff by helping to ensure that rooms are ready for guests and the kitchen is in impeccable condition. “For the hotel, as a whole, it’s a fantastic feeling being able to give someone a sense of a job well done, and give them a place to say, ‘That’s where I work,’” Tarshus said. The hotel was selected for the award from among more than 125 businesses in Tompkins County that Challenge works with to carry out its mission. Hua Zheng, one of our dishwashers in Kilpatrick’s (the Irish Pub attached to the hotel) was also honored on May 2nd, 2017 with the Exceptional Achievement Award from Challenge Workforce Solutions. Hua moved to Ithaca from China eight years ago and started working with Challenge a little over a year ago; he’s had plenty of success in making a name for himself and proving that he’s a hard worker. Hua loves to venture away from the dish pit and help with breakfast prep and French fries, he is also very good at sampling new items and giving feedback on the daily specials! Hua has an incredible work ethic and a great sense of humor. His biggest challenge is that English is his second language; however it doesn’t stop Hua from doing a great job. Hua enjoys sports and being a practical joker. Westlake, Ohio - Emerald Hospitality Associates, Inc. (EHA) announced Thursday a comprehensive corporate re-structuring as part of an evolution of growth in hotel management. This restructuring of existing corporate staff allows room for additional support positions to be added as the company aggressively seeks growth opportunities. Avon, Ohio - The Emerald Event Center will be featuring Easter Brunch for the whole family on Easter Sunday, April 16. Brunch will feature a delicious buffet of endless traditional and gourmet choices along with the Easter Bunny. There will be an egg hunt in our courtyard, weather permitting. Visit the event page for menu, details and reservation information. Also, a sure sign of spring - Tuesday Evening Dinners are back! Every Tuesday evening Chef Bernie provides a fabulous menu in our comfortable CRAFT bar setting. As the weather improves, we will be adding our popular outdoor seating options as well. Join us this Tuesday (or any Tuesday evening this spring)! Portland, Maine - Last week the Embassy Suites by Hilton in Portland, Maine, had the honor of hosting 5-year old Mikaela and her family who traveled all the way from Puerto Rico. Mikaela came to the property on behalf of Make A Wish. Her wish was "to see and build a snowman." Make A Wish contacted the Sales team and invited the hotel to host the family the night they landed into Portland. They informed the hotel that Mikaela would be traveling to Sunday River Ski Resort in Bethel, Maine the next morning to fulfill her wish of building a snowman. Mikaela also had a "special visitor" surprising her the next morning at our Hotel. This special visitor was none other than the Snow Queen herself. After hearing of Mikaela's wish and with her anticipated arrival, several of the hotel staff took it upon themselves to make her visit a most special and memorable one. Specifically, the front desk team including, Rosemarie Brischetto, Abby Wells, Amber Aaskov, and Eevee Staples transformed the hotel's boardroom into a Winter Wonderland for Mikaela and the Snow Queen. Assistant General Manager, Jennifer Leclair, Chef, Peter Pappas, Executive Housekeeper, Nita Olsen and Housekeeping Supervisor, Jess Bennett also played a large part in providing the family with a warm Maine welcome by filling her guest room with decorations, stuffed animals and cookies. Over the next 24 hours, Mikaela roamed the Hotel like the little celebrity she was. After spending a few days up at the ski resort and fulfilling her wish of making her snowman, Mikaela returned later in the week to stay at the Embassy Suites one more night before she and her family began their journey home. Though Mikaela's time in Maine was for only a few days, she brought much joy and happiness to everyone. The hotel staff were so pleased to see her wish granted which was all made possible by the wonderful folks at Make A Wish and were honored to take part in it. Without question, the team as a whole genuinely demonstrated our core values of being gracious, engaging and caring and exemplified what it truly means to make a difference in someone's life in ways both big and small. Freeport, Maine – Hilton Garden Inn, Hilton Worldwide’s upscale global brand of hotels, recently recognized Hilton Garden Inn Freeport Downtown as the Hotel Success Award winner for their outstanding achievements during the past year. The property, which is owned by Dover Properties and managed by Emerald Hospitality Associates, received this honor as a best in class performer from among the brand’s 700 hotels worldwide. This is the third consecutive year that this property was recognized for Best in Class performance. “We are honored to be recognized again with this prestigious award”, said Adrienne Patenaude, General Manger. “Our team members are committed to treating our guests as family. It is important that our guests have the most positive and memorable experiences possible when they stay with us.” Hilton Garden Inn Freeport Downtown is among the top 5 percent among 700 hotels worldwide with superior service and high quality scores. In recognition of these achievements, Hilton Garden Inn Freeport Downtown received a trophy to display in its lobby. The property was selected as one of nearly 60 individual and hotel recipients from around the world to be recognized as a brand leader with special recognition. Woodway, Texas – SpringHill Suites by Marriott will held its annual Brand conference in New Orleans, LA last week where they recognized top performers within the brand. The SpringHill Suites by Marriott Waco/Woodway was among the select few to be presented with the prestigious 2016 Gold Circle Award. Gold Circle Award winners are selected annually by Marriott to recognize the top 10% of the brand based on customer feedback for overall accommodations measured through guest satisfactions surveys about the hotel. Additionally, product quality and service scores are factored in to the equation when winners are selected. As a 2016 SpringHill Suites Brand Performance Award winner, the hotel demonstrated the very best of celebrating service. "On behalf of the staff, we are extremely honored to receive this brand award," said Gerald Miller, general manager. "Each day, we look forward to providing exceptional customer service, ensuring our guests are happy during their stay with us and living the essence of the SpringHill Suites brand. I am very proud of my team and their efforts." 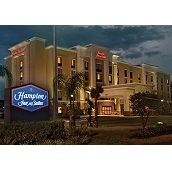 Wesley Chapel, Florida - Hampton by Hilton, Hilton’s global mid-price brand of more than 2,200 hotels, has recognized Hampton Inn and Suites by Hilton Tampa/Wesley Chapel with a Circle of Excellence award. The award signifies the hotel as one of the top performing properties within the brand. It is presented to hotels that have excelled in service and growing customer loyalty. Circle of Excellence Award winners are selected annually by the Hampton by Hilton. This award recognizes the top 15% of the brand based on customer feedback for overall accommodations measured through guest satisfaction surveys about the hotel, as well as product quality and service scores. The property will also receive a brand trophy to display in their lobby. "On behalf of the staff, we are extremely honored to receive this brand award," said Todd Patrick, general manager. "Each day, we look forward to providing exceptional customer service, ensuring our guests are happy during their stay with us. I am very proud of my team and their efforts." Presque Isle, Maine - Hampton Inn by Hilton team members joined together in support of the local community through a donation to the Summer Gap Feeding Program for August 2017, benefiting 250 children who attend the local MSAD 1 Elementary and Middle School. Typically, MSAD 1 feeds both breakfast and lunch to children under 18 during the summer months, funded by a federal program, but once high school is back in session, that program is no longer available, leaving many children in the area feeling the effects of food insecurity for 20 days in August. Team members, through donations, gave $500, which is enough to feed the children for one whole day. James Gerish, President of the hotel's management company, Emerald Hospitality, matched that donation with $500 from the Emerald Foundation, raising the donation to cover two whole days. The community event supports the brand’s signature community service program, Hands-On Hamptonality. The program’s goal is to inspire acts of service to help build stronger and more connected communities through the spirit of hospitality while enabling team members to extend their friendly customer service culture, known as Hamptonality. “Through the Hands on Hamptonality service program, our team members are able to make a positive contribution to this great community in which we live, play and work,” said Adam Cyr, general manager. “Thank you to all who participated. Today was a great reminder that service is the greatest gift anyone can give"
Emerald Hospitality Associates, Inc. has added a new hotel to their management portfolio: the Hampton Inn in Westborough, Massachusetts. The Hampton Inn Boston-Westborough is owned by PKY Properties LLC. The announcement was made by James R. Gerish, President of Emerald Hospitality Associates and graduate of Michigan State University. “This is an exciting opportunity for us to add to our portfolio of hotels in the Northeast market as we take the reins of this outstanding performing hotel,” said Gerish. “The Hampton Inn Boston-Westborough represents our 19th Hilton branded hotel and our 7th Hampton Inn. Our complete portfolio is now 26 hotels, restaurants & event centers,” comments Gerish. The Hampton Inn by Hilton in Westborough, located just off I-495 on Connector Road, offers 106 spacious guest rooms and a meeting room to accommodate up to 50 people. Additional amenities include a fitness center, indoor heated saltwater swimming pool, business center, complimentary Wi-Fi throughout the hotel, and a convenient market of snacks and sundries. Hilton Garden Inn, Hilton Worldwide’s upscale global brand of hotels, recently recognized Hilton Garden Inn Lenox Pittsfield as the Brand Performance Award winner for their outstanding achievements during the past year. The property, which is owned by Shanti Hospitality and managed by Emerald Hospitality Associates, received this honor as a best in class performer from among the brand’s 700 hotels worldwide. “On behalf of the staff, we are honored to receive this brand distinction with the Brand Performance Award," said Patty Jordan, general manger. “Our team members are committed to providing a welcoming experience with our brand’s signature service, style and SatisfactionPromise™. It is important that our guests have the most positive and memorable experiences possible when they stay with us.” Though the award goes to the Top 5% performers in the brand, Hilton Garden Inn Lenox Pittsfield is actually ranked among the top 2 percent among 675 hotels worldwide with superior service and high quality scores. In recognition of these achievements, Hilton Garden Inn Lenox Pittsfield received a trophy to display in its lobby. The property was selected as one of nearly 27 individual and hotel recipients from around the world to be recognized as a brand leader with special recognition. Emerald Hospitality is proud to announce that four of the properties it manages were honored by Hilton with awards. The Hilton Garden Inn in Freeport, Maine, and the Hilton Garden Inn in Pittsfield, Massachusetts, each received Hotel Success Awards for being in the top 5% of the Hilton Garden Inn brand. The Hampton Inn in Presque Isle, Maine, and the Hampton Inn & Suites in Wesley Chapel, Florida, each received Wall of Fame awards in the third quarter of 2016, which are given to properties in the top 15% of the brand. Ithaca, N.Y. – Hilton Garden Inn has honored Jeff Taylor, Guest Service Agent, of Hilton Garden Inn Ithaca with the Spirit of the Garden Award. This award designates Taylor as a top performer within the global brand of Hilton Garden Inn hotels. Nominated by their peers because of exemplary loyalty, attitude and service, the chosen team members continually exceed expectations of both customers and fellow team members. Less than one percent of all Hilton Garden Inn team members nationwide receive this honor each year. Taylor was nominated for the award by his peers after proving to be an exceptional role model. "Jeff went out of his way to coordinate a special treat for a young guest from Italy who loves ice cream trucks and faces the challenge of Autism on a daily basis. The child’s parents were so moved by Jeff’s generosity that they wrote an amazing review on Trip Advisor recognizing Jeff for his extraordinary outreach. He continues to make outstanding contributions to guests and team members, showing great enthusiasm in all areas of his work at the hotel," said Teri Tarshus, General Manager. "We are proud of his recognition as a Spirit of the Garden Award winner, the company’s most prestigious team member award. Employees like Jeff create a welcoming and exceptional experience for guests which impact other team members and create a domino effect of great service." Taylor represents the true spirit of Hilton Garden Inn. Employed since March of 2015, Taylor has always gone above and beyond to make guests feel at home by regularly anticipating guests’ needs. Hilton Garden Inn, which has more than 650 hotels worldwide, recognizes less than 60 team members a year with this honor. As a recipient of the award, Taylor will receive a cash prize of $350, a Spirit Award plaque and other special recognition throughout his career with Hilton Garden Inn. Westlake, OH – Emerald Hospitality Associates, Inc. has added a new hotel to their management portfolio: the Doubletree Hotel by Hilton in Leominster, MA. The acquisition was made through a subsidiary of Nimbus Investment Fund, LP, an independent affiliate of Emerald Hospitality. The announcement was made by James R. Gerish, President of Emerald Hospitality Associates and graduate of Michigan State University. “This is an exciting opportunity for us to add to our portfolio of hotels in the Northeast market as we take the reins of this outstanding performing hotel,” said Gerish. “The Doubletree represents our 18th Hilton branded hotel and our first Doubletree. Our complete portfolio is now 25 hotels, restaurants & event centers,” comments Gerish. “This hotel represents the type of asset that both Emerald and Nimbus Investment Fund seek to acquire: high quality, premium branded hotels in thriving potential-filled markets.” The Doubletree Hotel by Hilton in Leominster offers 187 spacious guest rooms and over 14,000 square feet of divisible meeting space, a restaurant and a lounge. Additional amenities include a fitness center, indoor heated swimming pool, business center, complimentary Wi-Fi throughout the hotel, and a convenient market of snacks and sundries. Avon, Ohio – Emerald Hospitality Associates of Westlake, Ohio, hosted a General Manager Summit at the Emerald Event Center in Avon, Ohio on Monday and Tuesday, September 19 and 20. Regional Operations Managers Josh Cushing and Kim Madigan led forums and team building activities with the General Managers from all regions of the United States. Top performers from their 21 hotels were honored with the following awards. Auburn, NY - At a time when private investment in downtown Auburn continues to expand, the partners at BeauVine Chophouse, located in the Hilton Garden Inn, have joined forces to upgrade the hotel's bar and restaurant space to attract additional clientele. The new name, "Refinery," will serve modern fare in a more relaxed, casual environment than offered before. The new menu, created by Chef Cory Collins features a mix of traditional pub fare with a new school twist reminiscent of the popular gastropub concept. “We source as much of the food locally as we can and are excited to offer a unique mix of eclectic items such as banh mi nachos and duck quesadillas. We tried to elevate the food above your typical perception of pub food. We also have a strong focus on producing as much as we can from scratch making the vast majority of our items in house, even the pickles,” said Chef Collins. “Guests of the Hilton Garden Inn will enjoy a modern but relaxed atmosphere at Refinery as part of their stay and area residents are welcomed to experience Refinery for its unique design elements, innovative modern fare, creative cocktails and tempting desserts seven nights a week”, added Ed Pavente VP of Operations for the restaurant operator Emerald Hospitality. The project team members are Jesse Kline, interior designer; Keith Traub & Theresa Daddona-Traub, creative design & fabrication for Unite Two Design; Brian Redfield & Emma Bauso, signage by Image Agent, brand design and buildout by Totum; and Ron Dennis, creative design & concrete installation. Kline shared, "It was such a pleasure to assemble key players to come together to work on this exciting new project. The look of the space, a gastro-lounge, is something new & different from downtown's current offerings. Plus, everything was custom designed and built- the lighting, the artwork and decorative pieces are one of a kind that really showcases the artists that were involved, and the raw materials that were used to make them." The talented team, Unite Two Design, created the decorative screen in the dining room, plus the window treatments, lighting pendants & wall sconces, the wall art and niche box installation, and faced the bar & mirrors with brushed brass metal. "We are especially thankful for Jesse Kline who brought us onboard and for Ed Pavente who believed in our vision. Jesse and Ed gave us the ability to be truly creative and do what we love and we couldn't be more pleased with the finished product. We hope you will join us for the grand opening to celebrate." The flooring showcases the skillful work of Stamped Concrete by Ron Dennis, who replaced the carpeting in the center square of the bar space, with textured stamped concrete stained shades of light & dark grays set off with a capital "R" in the middle, as part of the Refinery's new brand. Working off the project's color palette, which is purple, chartreuse & chocolate brown, Totum created branding concepts, the menu design, the website and photography. Image Agent designed the exterior signage and interior vinyl installation to keep the Refinery identity cohesive and whole. "Coming into the project, Jesse, Ed, Eric Ridley and Jessica Cantu had an idea of the new feel they wanted to bring into the restaurant, including a slogan that we considered while envisioning the Refinery identity. From there, we worked to carry their branding through every aspect of the designing of their website, signage, menu and photography." The public is encouraged to celebrate at Refinery during their First Friday event happening August 5th from 5 - 8PM. Come, sample the new food & beverage menu and enjoy the artful unique surroundings. Portland, ME – The Embassy Suites Portland, Maine, owned by KTB Hospitality Hotel, LLC and managed by Emerald Hospitality Associates, Inc., announced that Brad Bosse has been named Director of Sales. As Director of Sales, Bosse will direct areas of the hotel including guest services, sales and marketing efforts, and hotel administration. “Based on Bosse’s outstanding record in hotel sales, we are confident that he will be instrumental in ensuring the continued success of this hotel,” said Scott McKenney, General Manager. The Embassy Suites has 119 guest suites and is located at 1050 Westbrook Street. The hotel provides guests with a full complement of services and amenities, including breakfast, lunch and dinner served at the Café Stroudwater. Join us Monday nights from 7 – 10 PM to enjoy live music with the Tony Boffa Trio. All Embassy Suites Hotels offer spacious two-room suites that include a separate living area with a sofa bed and well-lit dining/work table, private bedroom and bath, hair dryers, MP3 clock radio, two flat screen televisions, two dual-line phones, high-speed Internet access, a wet bar, mini-refrigerator, microwave oven, an iron and ironing board, a fitness center, a free, cooked-to-order breakfast each morning and a complimentary two-hour Manager’s Reception each evening. Westlake, OH - Emerald Hospitality Associates has added a new hotel to their management portfolio: the Hampton Inn and Suites Tampa Wesley Chapel in Florida. The acquisition was made through Nimbus Investment Fund, LP, an independent affiliate of Emerald Hospitality. The announcement was made by James R. Gerish, President of Emerald Hospitality Associates and graduate of Michigan State University. “This is an exciting opportunity for us to add to our portfolio of hotels in the Florida market as we take the reins of this outstanding performing hotel” said Gerish. “The Hampton Inn and Suites represents our 7th Hampton Inn property but is our 1st Hampton Inn and Suites. Our complete portfolio is now 25 hotels, restaurants & event centers” comments Gerish. “This hotel represents the type of asset that both Emerald and Nimbus Investment Fund seek to acquire: high quality, premium branded hotels in thriving potential-filled markets”. The Hampton Inn and Suites Tampa Wesley Chapel, offers 94 spacious suites and guestrooms as well as 2 separate meeting spaces offering a combined total of 1200 square feet of space. Additional hotel features and amenities include: fitness center, outdoor pool, business center, complimentary Wi-Fi throughout hotel, convenience shop, Hot on the House® breakfast daily and of course, the 100% Hampton Guarantee. Great Barrington, MA - The Fairfield Inn & Suites by Marriott in Great Barrington, Berkshires, Massachusetts celebrates today as Marriott International Inc. presents the hotel with the prestigious Performance Award. 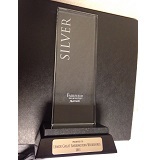 After receiving the Silver Award, the Fairfield Inn & Suites/Great Barrington is thrilled to share this remarkable achievement with the Marriott International and Fairfield Inn & Suites community, as well as all of Great Barrington, MA. "Our dedicated team is making a difference by consistently putting the guests’ needs first, enabling them to make the most of their time in the Berkshires. We are very proud that the associates create an atmosphere that our visitors can call home," says Patty Jordan, General Manager. In addition to the Silver Performance Award, the Fairfield Inn & Suites was also recently rated #1 hotel in Great Barrington on Trip Advisor. Located at 249 Stockbridge Road, the 93-room Fairfield Inn & Suites/Great Barrington operates as a Marriott franchise, owned by Irinoula Hospitality of Great Barrington, MA and managed by Emerald Hospitality Associates, Inc. of Westlake, OH. The hotel is perfect for reunions, wedding blocks, corporate meetings, functions, and families. With the promise of consistent and reliable service at an exceptional value, Fairfield Inn & Suites is ideal for guests looking a productive travel experience without skipping a beat. Flexible and functional, Fairfield’s thoughtfully designed rooms and suites offer separate areas for working, living, and sleeping. Fairfield Inn & Suites Great Barrington provides the largest indoor heated pool & hot tub in the area, game room, fitness room along with our brand standards of complimentary hot breakfast every day, a “connect and print” area, and free Wi-Fi, as well as a 24/7 Corner Market. Portland, ME - Embassy Suites by Hilton, one of Hilton Worldwide’s thirteen market-leading brands, announced this month winners of its global brand awards. Embassy Suites by Hilton Portland, Maine, part of Embassy Suites by Hilton’s global brand of upscale all-suites hotels, has won the Make a Difference and the Make it Right Awards of Excellence for demonstrating the highest combined guest satisfaction scores in overall service, problem resolution and culture. The Embassy Suites by Hilton Portland, Maine is owned by KTB Hospitality and managed by Emerald Hospitality Associates. Embassy Suites Portland, Maine was presented with the award based on scores given by guests specifically asking about their experience at the hotel regarding the service and culture. This year marks the second time that the Embassy Suites by Hilton Portland, Maine has been recognized for this award. “We are honored to have received this distinction,” said Scott McKenney General Manager, Embassy Suites by Hilton Portland, Maine “We strive not only to be a business leader within our community but also to contribute to the esteem of the entire Embassy Suites by Hilton brand, which has earned numerous awards for guest satisfaction throughout the years.” All guests at Embassy Suites by Hilton Portland, Maine enjoy the brand’s signature amenities including a complimentary made-to-order breakfast, a two-hour complimentary evening reception with snacks and drinks and all-suite accommodations with two flat-screen high-definition televisions and wet bar fitted with a microwave, mini-fridge and a selection of gourmet coffee and teas. The hotel also provides complimentary 24 hour airport shuttle service, an indoor heated pool, hot tub and sauna and a complete fitness center equipped with state of the art treadmills, elliptical and bicycle. 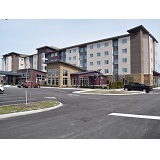 Avon, Ohio -- The 116-suite Residence Inn by Marriott in Avon, Ohio opened this Tuesday, March 29, 2016. Located at 33040 Just Imagine Drive, the all-suite Residence Inn Cleveland-Avon at the Emerald Event Center will operate as a Marriott franchise, managed by Emerald Hospitality Associates, Inc. of Westlake, Ohio. Attached to the Emerald Event Center and adjacent to the Richard E. Jacobs Health Center, the Residence Inn Cleveland-Avon at the Emerald Event Center is located 17 miles from downtown Cleveland and offers its guests convenient access to Crocker Park, Avon Commons and Cedar Point. Rates vary depending on length of stay. "We are pleased to introduce Residence Inn hotels in the Avon area," said Diane Mayer, vice president and global brand manager, Residence Inn. "When on the road for an extended period, our guests need space to spread out, maintain their life's pace and restore their energy to help them maintain a healthy balance and routine while traveling. This new hotel offers them a seamless blend of modern style and functionality that allows them to settle in and thrive." Residence Inn properties are designed as all-suite hotels that offer studio, one-bedroom and two-bedroom suites. Guests looking for a revitalizing sleep experience will enjoy the hotel's plush mattresses and crisp linens, while guests focused on being productive will value their suite's large, well-lit work desk, ergonomic chair and complimentary high-speed Internet access. Designed for stays of five nights or more, each suite also has a fully-equipped kitchen with a coffeemaker, microwave oven and residential-sized appliances. The Residence Inn Cleveland-Avon at the Emerald Event Center's complimentary breakfast has a variety of great options, including specially made featured items. Guests can start their day off right with healthy food choices and, with a convenient to-go offering, can make sure they do not miss the most important meal of the day. Extending the feeling of comfortable living on the road, the Residence Inn Cleveland-Avon at the Emerald Event Center offers guests inviting and functional public spaces to relax or collaborate. Road warriors and families alike enjoy the hotel's grocery delivery service, complimentary Wi-Fi, 24-hour onsite food and beverage market, dry cleaning services, and onsite guest laundry room. The hotel also maintains a business library where guests can fax, copy and print materials, and provides guests with a lobby bar, a limited-item restaurant, an indoor swimming pool, exercise room and Sport Court®. The hotel also connects to the Emerald Event Center, a state-of-the-art conference facility with highly flexible event space. The Emerald Event Center offers over 11,000 square feet of total event space with onsite catering and an outdoor Courtyard that provides a unique setting for any occasion. Freeport, Maine - Hilton Garden Inn, Hilton Worldwide’s upscale global brand of hotels, recently recognized Hilton Garden Inn Freeport Downtown as the Hotel Success Award winner for their outstanding achievements during the past year. The property, which is owned by Dover Properties and managed by Emerald Hospitality Associates, Inc., received this honor as a best in class performer from among the brand’s 665 hotels worldwide. “On behalf of the staff, we are honored to receive this brand distinction with the Hotel Success Award, said Josh Cushing, general manager. “Our team members are committed to providing a welcoming experience with our brand’s signature service, style and Satisfaction Promise™. It is important that our guests have the most positive and memorable experiences possible when they stay with us.” Hilton Garden Inn Freeport Downtown is among the top 5 percent among 665 hotels worldwide with superior service and high quality scores. In recognition of these achievements, Hilton Garden Inn Freeport Downtown received a trophy to display in its lobby. The property was selected as one of nearly 60 individual and hotel recipients from around the world to be recognized as a brand leader with special recognition. Auburn, N.Y. – Hilton Garden Inn has honored Michelle Quintana, Assistant General Manager of the Hilton Garden Inn Auburn, with the Spirit of the Garden Award. This award designates Quintana as a top performer within the global brand of Hilton Garden Inn hotels. Nominated by their peers because of exemplary loyalty, attitude and service, the chosen team members continually exceed expectations of both customers and fellow team members. Less than one percent of all Hilton Garden Inn team members nationwide receive this honor each year. Quintana was nominated for the award by her peers after proving to be an exceptional role model. "Michelle continues to make outstanding contributions to guests and team members, showing great enthusiasm in all areas of his work at the hotel," said Eric Ridley, general manager. "We are proud of her recognition as a Spirit of the Garden Award winner, the company’s most prestigious team member award. Employees like Michelle create a welcoming and exceptional experience for guests which impacts other team members and creates a domino effect of great service." Quintana represents the true spirit of Hilton Garden Inn. Employed since July of 2014, Quintana has always gone above and beyond to make guests feel at home by regularly anticipating guests’ needs. Hilton Garden Inn, which has more than 650 hotels worldwide, recognizes less than 60 team members a year with this honor. As a recipient of the award, Quintana will receive a cash prize of $350, a Spirit Award plaque and other special recognition throughout her career with Hilton Garden Inn. Located at 74 State Street, Hilton Garden Inn Auburn is situated downtown near the Musical Theater Festival District and the Seward House Museum. The hotel is ideal for business and leisure travelers. All Hilton Garden Inn guests will see why "Life’s Better at the Garden™" through amenities including complimentary Wi-Fi throughout the hotel, 24-hour business center with Print Spots™ remote printing, a state-of-the-art fitness center, indoor heated pool, Event Center and outdoor garden with custom stone fire pit. The Garden Grille and Bar® offers a full cooked-to-order breakfast and dinner, cocktails, and evening room service. The Pavilion Pantry® is open 24 hours and features a complete selection of salty snacks, sweet treats, cold beverages, and frozen, microwaveable packaged items. Each guest room boast the brand’s signature bedding featuring fresh, white duvets and crisp linens, a spacious and clutter-free work desk with an ergonomic desk chair, and an in-room "hospitality center" with a mini fridge and a microwave oven as well as a Keurig coffee maker. Emerald Hospitality Associates, Inc., is proud to announce the opening of the newest property in its portfolio, the Homewood Suites located in Syracuse, New York. “Frequent business travelers appreciate close proximity to their meetings, and with our location in the Pioneer Business Park guests are within steps from the hotel,” said Jim Stocker, general manager. “Also, for parents visiting students at Syracuse University, Homewood Suites by Hilton provides all-suite accommodations with fully-equipped kitchens that offer them the opportunity to prepare their kids’ favorite meals when visiting with a comfortable home-like experience.” Developed and owned by Pioneer Companies and managed by Emerald Hospitality, Homewood Suites Syracuse/Carrier Circle adds to the brand’s growing portfolio of hotels in the northeast offering travelers an upscale, extended-stay hotel option. The new hotel will feature 101 suites which will be a combination of studio, one and two bedroom suites. Located at 6006 Fair Lakes Road, Homewood Suites Syracuse/Carrier Circle is conveniently situated seven miles from the Syracuse Hancock International Airport. Guests also enjoy convenient access to local businesses and attractions like Destiny USA, Syracuse University and the Carrier Dome. The new hotel offers guests inviting, generous all suite-accommodations including fully equipped kitchens, free daily full-hot breakfast and Wi-Fi. Additional essentials include a complimentary evening social Monday-Thursday. In addition, Homewood Suites by Hilton offers recreational options such as a fitness center and indoor pool, enabling travelers to “stay in the groove.” Homewood Suites by Hilton Syracuse/Carrier Circle participates in Hilton HHonors®, the only hotel loyalty program that allows members to earn Points & Miles® on the same stay and No Blackout Dates on reward stays. HHonors members always get our lowest price with our Best Price Guarantee, along with HHonors Points, digital check-in and no booking fees only when they book directly through Hilton. The new 116 room Residence Inn located in Avon, Ohio is nearing completion, as shown by the latest aerial photo. The Emerald Event Center is expected to open soon, with the hotel to follow shortly thereafter. A larger version of this image can be viewed via Twitter. Westlake, OH based Emerald Hospitality Associates, a premier full service hotel management and development company, announced today that they have purchased and will manage the Hilton Garden Inn Plymouth Michigan. This acquisition is in partnership with Nimbus Investment Fund, LP, an independent affiliate of Emerald Hospitality. The announcement was made by James R. Gerish, President of Emerald Hospitality Associates. “This is an exciting opportunity for us to enter the Michigan market as we take the reigns of this outstanding performing hotel” said Gerish. “The Hilton Garden Inn Plymouth represents our 8th Hilton Garden Inn and brings our portfolio to 24 hotels” comments Gerish. “This hotel represents the type of asset that both Emerald and Nimbus Investment Fund seek to acquire: high quality, premium branded hotels in thriving potential-filled markets”. The Hilton Garden Inn Plymouth, offers 157 guestrooms, an extensive lobby featuring the Garden Grill & Bar, 24-hour fitness center, business center, indoor pool, sundry shop, 1408 square feet of meeting space and complimentary shuttle service within a 5 mile radius. In early 2014, the hotel completed a comprehensive $2.7 million renovation introducing the Hilton Garden Inn’s Project Grow lobby refresh, thorough upgrade of all guestrooms as well as public interior and exterior upgrades. The Hilton Garden Inn Plymouth provides travelers with award-winning service, inviting social spaces, and high-end amenities ensuring a great stay at an even greater value. All Hilton Garden Inn guests will enjoy the brand’s signature bedding featuring fresh, white duvets and crisp linens, complimentary Wi-Fi, a 24-hour business center, state-of-the-art fitness center, Keurig coffee maker and a full service restaurant and bar offering full cooked-to-order breakfast, dinner, cocktails, and evening room service. Hilton Garden Inn Plymouth participates in Hilton HHonors®, the only hotel rewards program that offers Points & Miles® and No Blackout Dates. “Buffalo-Niagara is a vibrant region, filled with friendly people, great neighborhoods, and an ever expanding list of great places to visit and things to do or see,” states Paul B. Iskalo, President & CEO of Iskalo Development Corp. “Our hotel is central to all of them and we are confident that the Hyatt Place Buffalo/Amherst will exceed guest expectations and provide them with everything they need while visiting our area.” HYATT PLACE BUFFALO/AMHERST LEADERSHIP Hyatt Place Buffalo/Amherst is under the leadership of General Manager David Zeplowitz and Director of Sales Julie Bishop. In his role, Zeplowitz is directly responsible for managing the day-to-day operations of the hotel, including overseeing the hotel’s 35 associates and ensuring guests encounter the purposeful service for which Hyatt Place is known. Bishop is responsible for providing sales service and support to travelers and meeting planners frequenting the Buffalo area. Emerald Hospitality Associates today announced that Christopher Lothridge has been appointed the new director of sales of the Hampton Inn in Waterville, Maine. The 81-room hotel is located at 425 Kennedy Memorial Drive in Waterville. As director of sales, Lothridge will be responsible for leading and directing the development and implementation of strategic sales and marketing plans in the hotel’s continuing effort to deliver outstanding guest service. “Based on Chris’ outstanding record, we are confident that he will be instrumental in ensuring the success of the Hampton Inn, Waterville,” said Jeanne Carpentier, Regional Director of Sales with Emerald Hospitality. Prior to joining the Hampton Inn Waterville, Lothridge was Conference Services Manager at another hotel in Maine. Hampton Inn Waterville is located near Colby College. Hotel amenities include a free breakfast buffet, the Hampton Satisfaction Guarantee as well as the Perfect Mix Lobby, designed with a variety of seating and lighting options for both leisure and business travelers as an extension of the guestroom. Guestrooms are equipped with either one king bed or two queen beds, microwaves and refrigerators and 35” HD televisions. For more information or to make reservations for the Hampton Inn Waterville please visit the hotel website www.Waterville.Hampton.com or call 207-873-0400. Hampton by Hilton participates in Hilton HHonors®, the only hotel loyalty program that allows members to earn Points & Miles® on the same stay and No Blackout Dates on reward stays. HHonors members always get our lowest price with our Best Price Guarantee, along with HHonors Points, digital check-in and no booking fees only when they book directly through Hilton. Emerald Hospitality Associates, Inc., is proud to announce the grand opening of the Hilton Garden Inn Lenox/Pittsfield in Massachusetts. The 95-room hotel opened for business on Monday, August 17, 2015, and includes three suites offering more than double the space of a standard guest room and a sofa bed. The Hilton Garden Inn Lenox/Pittsfield also offers two flexible conference spaces with enough space for up to 75 people, a heated indoor pool, hot tub, and fitness center. The Garden Grille & Bar offers breakfast. Relax with a drink in the welcoming atmosphere of the hotel's bar, before ordering a meal from our evening room service menu to enjoy in your room. The handy 24-hour Pavilion Pantry® stocks a variety of snacks, drinks and any last-minute essentials you might have forgotten. The newest available aerial photograph shows the continuing progress of the construction of the new 116 room Residence Inn located in Avon, Ohio. The exterior of the hotel and event center are nearing completion. A larger version of this image can be viewed via Twitter. Homewood Suites by Hilton Syracuse-Carrier Circle, owned and operated by Pioneer Companies and managed by Emerald Hospitality, today announced that Jim Stocker has been appointed general manager of the new Homewood Suites by Hilton hotel located at 6006 Fair Lakes Road East Syracuse. The four story, 101 suite hotel is currently under construction and is scheduled to open October, 2015. As general manager, Jim Stocker, will direct all areas of the hotel’s operations, including guest services, sales and marketing efforts and hotel administration. “Jim has significant experience in the hospitality industry with a focus on management and sales and we believe that his overall strengths and passion for building relationships will be a great asset to the entire Homewood Suites Syracuse team,” said Ed Pavente, vice president of operations, Emerald Hospitality. Prior to joining Homewood Suites Syracuse-Carrier Circle, Stocker was the general manager for another all suite property in Syracuse. Stocker is a graduate of Delmar College and holds a degree in Business Administration. In addition, Sarah Nichols has been appointed director of sales of the new Homewood Suites. As director of sales of the upscale, all-suite, extended-stay hotel, Nichols will be in charge of networking and assessing the needs of local businesses, working with the general manager to facilitate marketing efforts, and overseeing sales initiatives that assure the success of the hotel. “Based on Sarah’s excellent sales abilities, we are confident she will be instrumental in ensuring the success of the Homewood Suites Syracuse,” said Jeanne Carpentier, regional director of sales, Emerald Hospitality. Prior to joining the Homewood Suites Syracuse-Carrier Circle, Nichols was sales manager for four high-end independent hotels. Nichols is a graduate of Monroe Community College and holds a degree in Hospitality Management, Hotel Technology. When completed, the new Homewood Suites Syracuse-Carrier Circle will provide travelers amenities and services that maximize their travel budget. Offering guests inviting, generous all suite-accommodations including fully equipped kitchens and complimentary internet, additional essentials include free daily full-hot breakfast and complimentary evening social Monday-Thursday. In addition, Homewood Suites by Hilton offers a complimentary grocery shopping service* and fun recreational options such as an outdoor cooking area, fitness center, indoor pool and sports court, enabling travelers to “stay in the groove.” Homewood Suites by Hilton Syracuse-Carrier Circle participates in Hilton HHonors®, the only hotel loyalty program that allows members to earn Points & Miles® on the same stay and No Blackout Dates on reward stays. HHonors members always get our lowest price with our Best Price Guarantee, along with HHonors Points, digital check-in and no booking fees only when they book directly through Hilton. For more information or to make a reservation,visit the hotel website at Homewood Suites Syracuse-Carrier Circle or call +1 315 433 1009 Read more about Homewood Suites by Hilton at www.homewoodsuites.com and www.news.homewoodsuites.com. *Guest pays for groceries. Other restrictions apply. The Hyatt Place Buffalo/Amherst is nearly ready for its grand opening. Construction is substantially complete and staff is currently being hired. The 137 room hotel is currently expected to open in July, 2015. Emerald Hospitality Associates, Inc. is holding a job fair for full- and part-time positions at the Hyatt Place in Buffalo/Amherst in New York. The job fair will be held June 2nd, 4th, and 6th. The hotel is scheduled to open July, 2015. For more details, click here. 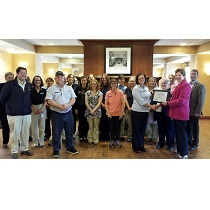 The Hampton Inn located in Presque Isle, Maine, was recently honored by the Local Chamber of Commerce with a Customer Service Award. This award recognized the hotel for excellent customer helpfulness and friendliness. Pictured is the staff of the hotel receiving the award, which was presented by Theresa Fowler, Chamber Director. A new aerial photograph shows the progress of construction at the Residence Inn in Avon, Ohio. A larger version of this image can be viewed via Twitter. Pittsfield, MA - The Hilton Garden Inn Lenox/Pittsfield, managed by Emerald Hospitality, today announced that Scott McKenney has been appointed General Manager of the new Hilton Garden Inn located at 1032 South Street, Pittsfield, Massachusetts. The 95-room hotel, currently under construction, is scheduled to open in July 2015. As GM, McKenney will direct all areas of the hotel's operations, including guest services, sales, and marketing efforts and hotel administration. "Based on Scott’s outstanding record in hotel management, we are confident that he will be instrumental in ensuring the success of this new Hilton Garden Inn," said Ed Pavente, VP of Operations with Emerald Hospitality. "Scott will be a strong asset to this new property as we gear up for its opening." Prior to joining the Hilton Garden Inn Pittsfield, McKenney was General Manager of the Hilton Garden Inn in Auburn, Maine. McKenney is a graduate of the University of Southern Maine with a degree in Communication and a concentration in Marketing. Situated just minutes from Tanglewood, the Museum of Contemporary Art as well as many other sites and attractions of the Berkshire region, the Hilton Garden Inn Pittsfield provides the amenities to ensure guests have everything they need whether traveling for business or personal business. The hotel features the brand’s signature Serta Perfect Sleeper with fresh, white, cozy duvets and crisp linens. Guests will stay productive with both wired and WiFi Internet access in guestrooms and public spaces. Each hotel guest room features a 42 inch high definition television, an ergonomic desk chair, a spacious and clutter-free work desk, speaker telephones equipped with data ports and voicemail. Guests will also benefit from the complimentary 24-hour business center, featuring Print Spots™ remote printing which allows wireless printing from any laptop or smart phone. In addition, guests can start off their day with a full-cooked-to-order breakfast featuring omelets, fruit, breads and the brand’s signature waffle in the Garden Grille & Bar. The restaurant will also serve cocktails and dinner, as well as evening room service. The Pavilion Pantry® is open 24 hours and features a complete selection of salty snacks, sweet treats, cold beverages as well as freshly prepared, frozen and microwaveable packaged items. Other hotel amenities include a glass-enclosed Pavilion lobby featuring a comfortable lounge area with a television and fireplace, an easy-to-set alarm clock that allows guests to play their portable CD or MP3 player, an in-room "hospitality center" with a mini fridge, microwave oven and coffee maker, a sitting area with an easy chair and ottoman, a hairdryer, and an iron and ironing board. The hotel’s recreational facilities consist of a fitness center with state-of-the-art cardiovascular and strength training equipment, as well as an indoor swimming pool. The hotel also features 2 meeting rooms offering 1200 square feet of flexible space and an on-site guest laundry facility. Hilton Garden Inn Pittsfield participates in Hilton HHonors®, the only hotel rewards program that offers Points & Miles® and No Blackout Dates. Emerald Hospitality Associates is proud to announce the opening of the newest edition to its portfolio of hotels: the Hilton Garden Inn Rochester Downtown hotel. The hotel had its official opening yesterday, March 26th. The HGI Rochester will be an excellent addition to Emerald's portfolio of hotels. The facility itself is an adaptive reuse, as the building was formerly the Hotel Eggleston and later the home to the National Clothing company, with its last incarnation being a Bank of America office building before being repurposed to what is now the newest hotel in Rochester New York. The main building is over 100 years old and is listed on the national historic registry. Congratulations to Gerald Miller (General Manager) and the entire team at the SpringHill Suites by Marriott in Waco/Woodway, Texas for receiving the 2014 Marriott Platinum Award. This prestigious honor is bestowed upon the top 5% of the SpringHill Suites properties for overall guest satisfaction. Based on guest satisfaction surveys that tie directly to exceptional guest relations and service, the Platinum Award is one of Marriott International’s highest property-level awards. Newly available photos taken from the air show the continuing progress of construction at the Residence Inn in Avon, Ohio. Please follow us on Twitter @RIAvonOhio for more photos. BeauVine Chophouse & Wine Bar "One of the Best Steakhouses in Central NY"
Syracuse.com (an affiliate of the Post Standard) has included BeauVine Chophouse & Wine Bar on its list of Central New York's best steakhouses. Described as featuring "great steaks, fine wine and a first-class atmosphere," BeauVine Chop House is located in the Hilton Garden Inn in Auburn, New York. Pictured is the Elk Chop, one of the menu items available at BeauVine. Hilton Garden Inn, Hilton Worldwide’s award-winning brand of upscale yet affordable hotels, announced Hilton Garden Inn Freeport Downtown as the 2014 General Manager of the Year Merit Award and Hotel Success winner. The hotel, located at 5 Park Street, was selected as one of the highest achieving Hilton Garden Inn properties in terms of service, customer satisfaction and cleanliness. Joshua Cushing, general manager, accepted the award with Melissa Robinson, director of sales, at the recent brand conference in Orlando, Fla. Mr. Cushing and Ms. Robinson are pictured above with Jim Holthouser the Executive Vice President of Global Brands, Hilton Worldwide and Adrian Kurre, the Global Head of Hilton Garden Inn. The General Manager of the Year Merit Award recognizes the top four individuals across the entire brand that demonstrate outstanding personal and hotel performance along with strong leadership in all areas of the property. The Hotel Success Award honors the top 5 percent among 600 hotels worldwide with superior service and high quality scores. In recognition of these achievements, Hilton Garden Inn Freeport Downtown received a trophy to display in its lobby. Monday, December 17, 2014 - Rock Hill, SC The Hampton Inn Rock Hill hosted a Client Appreciation Luncheon and Silent Auction to benefit the Children’s Attention Home of Rock Hill, SC on Thursday, December 11, 2014. The auction raised over $2,100.00 to go directly to the home which provides emergency shelter for abused, abandoned and neglected children in South Carolina. Area businesses such as Honey Baked Ham, 3D Systems, Jane's Creative Design Florist, Message Envy, Newk's Catering and regional travel partners donated goods and services to be utilized in the fundraising activities. Cortney Peterson, Director of Sales at the Hampton Inn, coordinated the event. “We were thrilled to have been able to host this fundraising event for the Children’s Attention Home and we are so grateful to our business partners for their donations in support of the children in need in our community.” For more information on how you can support the Children’s Attention Home please visit www.attentionhome.org or call 803-328-8871. Wednesday, December 17, 2014 – Woodway/Waco, Texas - The SpringHill Suites Waco / Woodway hosted their first annual ArtNight event last week, partnering with local artist Shawn Knuckles, Tennyson Middle School, and J.H. Hines Elementary School to bring the local art scene to hotel guests and the surrounding community. Serving as a space for creativity and inspiration, the SpringHill Suites Waco / Woodway gave guests and neighbors the unique opportunity to connect and appreciate great art. Shawn Knuckles, as well as his students at Tennyson Middle School, displayed beautiful & creative paintings and sketches to help bring a taste of local talent into the hotel for the evening. Many of the students donated their works to the event allowing the SpringHill Suites Waco/Woodway to coordinate a Chinese raffle which raised over $2000.00. That money will be shared between the Marriott “Save Art” initiative which is in partnership with Fresh New Artists to provide art supplies to area schools including Tennyson Middle School and J.H. Hines Elementary school. “ArtNight reflects the brand’s focus on style and design while paying tribute to local art communities,” said Callette Nielsen, vice president and global brand manager of SpringHill Suites by Marriott. “We’re proud that the SpringHill Suites Waco/Woodway extended this experience to its guests and the surrounding Waco community.” SpringHill Suites recognizes the importance of art in everyday life and is focused on delivering modern style and design to its guests. ArtNight is the brand’s award winning experiential platform that allows more than 300 hotels across the country to connect guests with local communities while providing local artists outlets to showcase their talent. For more information about Hyatt Place Buffalo/Amherst, please call 716-839-4040. The foundation for the Emerald Event Center at the Residence Inn in Avon, Ohio has been poured. Work continues on the hotel itself. Follow us on Twitter @RIAvonOhio for more photos. Construction is underway on the new Homewood Suites in Syracuse, New York. Emerald Hospitality is overseeing the project, and will manage the 101 suite hotel when it opens in Fall of 2015. Check back here for updates and new photos as the work progresses. Construction continues on the Residence Inn in Avon, Ohio, as the second story concrete is poured. Construction proceeds on the Hilton Garden Inn located in Pittsfield, Massachusetts. AVON, OH – Local officials, along with investment and development partners, gathered to celebrate the ground breaking of the 116 room Residence Inn by Marriott and 10,000 square-foot Emerald Event Center in Avon, Ohio. Mayor Bryan Jenkens kicked off the ceremony by talking about the impact this development will have on the community. “There has been a need for a hotel out here. Now businessmen visiting ShurTech, or people going to the Clinic or one of the other businesses in the area will be able to stay close by instead of driving miles to get to a hotel. I could not have planned it better.” Jim Gerish, President of Emerald Hospitality Associates, gave accolades to the city of Avon citing that they “could not have been more welcoming” through the entire development process. He noted that the staff at Emerald is “humbled” and “honored” with the amount of assistance received by all the parties involved in this exciting project. The Residence Inn by Marriott and Emerald Event Center will be located next door to the Cleveland Clinic Richard E. Jacobs Health Centerand is expected to open for business in April 2015. The five-story hotel will offer two-bedroom, one-bedroom, and studio suites all of which will include fully equipped kitchens, a 24-hour “market” with free grocery delivery to guests, a heated indoor pool, a fitness center, and an outdoor barbecue, fire pit, and sports court. Mr. Gerish added “this is more than just a box – this is the next generation Residence Inn with state-of-the-art design elements, a unique lobby, 116 guest rooms, a conference center, and many other amenities. It will also offer 40 to 50 good jobs once it opens in addition to the construction jobs right now.” Many local organizations and financial institutions played a role in developing this project. Partners in the project include: the City of Avon, Emerald Hospitality Associates, Nimbus Investment Fund, First Commonwealth Bank, Mann Architects, and Pride One Construction. The Cleveland Clinic facility, located next door to the project, has announced an addition of a 100 to 120 beds by 2016. Mr. Gerish looks forward to a long relationship with The Cleveland Clinic facility adding “we plan to set aside some rooms for people getting treatment at the Clinic, or who have been discharged from the Clinic and not yet ready to return home,” he said. “These rooms will be specifically equipped to handle their needs.” The 10,000 square foot attached Emerald Event Center will encompass a 6,700 square foot ballroom which can be divided into four meeting areas or as one grand ballroom with a seating capacity of 400 plus. In addition to corporate meetings, conferences, and social engagements such as weddings, Mr. Gerish said the conference center could offer special events to the local community such as Easter and Mother’s Day brunches, New Year’s Eve celebrations, and unique “one-of-a-kind” functions. Portland, ME – March 12, 2014 – We are pleased to announce the Embassy Suites Portland, Maine has been named a 2013 Total Quality Score Award winner! This award is earned by the top 10% of hotels in the Embassy Suites brand for scoring in the top 10% in Quality Assurance inspections and Guest Satisfaction surveys. The award was presented at the Embassy Suites Regional Town Hall meetings held in Myrtle Beach, South Carolina. We are proud of the Portland, Maine team of this impressive accomplishment! Ithaca, NY – March 19, 2014 – For the third consecutive year Kilpatrick’s Pub of Ithaca has partnered with St. Baldrick’s Foundation to raise funds to help conquer childhood cancer. Kilpatrick’s Pub has taken on all responsibilities regarding fundraising, recruiting volunteers, handling all of the proceeds and maintaining the integrity of the event. It has also created a bond between locals who come back year after year and appreciate the hard work and dedication by the staff at Kilpatrick’s and the Hilton Garden Inn. Some people come from as far away as New Jersey and San Diego to continue the tradition with us of shaving their heads in honor of children fighting cancer. In the first year (2012) we raised $9,190. In the second (2013)year we raised $9,430. And this (2014) year we’ve already raised over $15,260 with the final tally still being counted. Kilpatrick’s Pub plans on continuing the tradition of hosting the St. Baldrick’s Foundation events and co branding that with our Irish heritage. AUBURN, NY – March 10, 2014 – Emerald Hospitality Associates is pleased to announce Eric Ridley, General Manager of the Hilton Garden Inn in Auburn, New York, is the recipient of the New York State Hospitality and Tourism Association’s (NYSH&TA) 2014 Pinnacle Award. Ridley was announced as the winner of the award on Monday, March 3rd, at the Association’s 21st annual Stars of the Industry Gala and Awards Banquet, which was held at the Albany Marriott. The Stars of the Industry awards program honors employees of the hotels, motels and tourism-related businesses throughout the state who best represent the quality service and spirit of the hospitality and tourism industry. Every year on the night of the gala the Pinnacle award is announced and is given to a person who epitomizes continued contributions, and dedication to the industry. The award was created in honor of a former NYSH&TA Chairman of the Board, Louis N. Ventresca. “Eric’s dedication to the industry and inherent hospitable demeanor makes him an innkeeper in every way. The lodging community will always be well served with Eric Ridley’s involvement as his future is bright in this industry,” said NYSH&TA President, Jan Marie Chesterton. “Eric is a pillar in the community, and someone with a passion for hospitality,” said Ed Pavente, VP of Operations with Emerald Hospitality. “Motivating and leading our staff with respect and grace helps to deliver a memorable experience for our guests and the entire Emerald Hospitality team is quite proud to see Eric recognized for his accomplishments.” For more information or to make reservations, visit the Hilton Garden Inn Auburn or call 315-252-5511. Read more about Hilton Garden Inn at www.hgi.com and www.news.hgi.com. AUBURN, NY – January 24, 2014 – The Hilton Garden Inn Auburn, located at 74 State Street, announced special recognition of one of its team members. General Manager Eric Ridley was recently named the 2013 Outstanding General Manager of the Year (150 rooms or less) by the New York State Hospitality and Tourism Association (NYSH&TA). Ridley has been the General Manager of the hotel since it opened in 2012. The award honors an hotelier who has demonstrated superior professionalism and taken a leadership role in the industry by actively participating in association, community or industry programs. He will be recognized at the NYSH&TA Stars of the Industry Gala and Awards Banquet on March 3 in Albany. “We are incredibly excited for our general manager to be so highly recognized,” said Ed Pavente, VP of Operations with Emerald Hospitality. “Eric is an invaluable member of the team and this award is further proof of the excellent customer service he provides for our guests and hotel each day.” “Every year, the state’s hospitality industry nominates its most outstanding employees. After reviewing all of the nominations submitted, the judges agreed that Eric Ridley was the best of the best,” said NYSH&TA President Jan Marie Chesterton. “All the winners of this year’s awards are STARS in every sense of the word and shining examples of what New York State hospitality is all about.” For more information or to make reservations, visit the Hilton Garden Inn Auburn or call 315-252-5511. Read more about Hilton Garden Inn at www.hgi.com and www.news.hgi.com. Jacobs Real Estate Services (JRES) announced today that a 5-story, 116-room Residence Inn by Marriott hotel with an attached 10,000-square-foot conference center, will be constructed at its Avon Place development in Avon, Ohio. The new Residence Inn will be located on Just Imagine Drive, adjacent to the Cleveland Clinic Richard E. Jacobs Health Center. The hotel is planned to open in spring 2015. It will be built on a 4.27-acre site that JRES has agreed to sell to Emerald Hospitality Associates, Inc. and its independent affiliate, Nimbus Investment Fund. "We are excited that Marriott and Emerald Hospitality have chosen Avon Place. Residence Inn will be a perfect complement to the expanding Cleveland Clinic, restaurants and offices planned for this development," said Jim Eppele, JRES executive vice president. Residence Inn hotels are designed for extended-stay travelers, with features that include spacious suites with separate living and sleeping areas; fully equipped, in-suite kitchens; free grocery delivery service; complimentary Wi-Fi and in-room, high-speed Internet access; free hot breakfasts; a swimming pool and a fitness center. CLEVELAND, Ohio – October 1, 2013 – Jacobs Real Estate Services (JRES) announced today that it has signed an agreement to sell a 4.27-acre site on Just Imagine Drive in Avon, Ohio, to Emerald Hospitality Associates, Inc., in conjunction with its independent affiliate, Nimbus Investment Fund. Emerald plans to develop a 110- to 125-room, Marriott-branded hotel with an attached 5,000-square-foot conference center. The hotel, which will sit adjacent to the Cleveland Clinic Richard E. Jacobs Health Center, is planned to open in fall 2014. The Marriott-branded hotel kicks off the 132-acre, master-planned development, which will be known as Avon Place. It will include a mix of offices, hotels, restaurants, medical facilities and other related developments. JRES also has two additional signed land sale agreements for Avon Place, which will be announced in the coming weeks. “We are excited to be bringing a Marriott-branded hotel to complement the highly successful Cleveland Clinic facility,” said James Eppele, executive vice president at JRES. “Emerald Hospitality's expertise in developing and managing first-class select service hotels is a perfect fit with the type of development we intend to bring to Avon Place.” About Emerald Hospitality Inc. Founded in 1999, Emerald Hospitality Associates is a Westlake-based, full-service hotel management and development company that provides a wide range of specialized hospitality industry services to hotel and restaurant investors. Emerald currently operates 21 properties in seven states, consisting primarily of Hilton, Marriott and Hyatt branded products. For more information, visit www.emeraldhospitality.com. About Jacobs Real Estate Services LLC Jacobs Real Estate Services provides comprehensive brokerage, leasing and management services for owners of office buildings, specialized-use facilities and mixed-use developments. It is an independent affiliate of The Richard E. Jacobs Group, one of the nation’s premier developers of commercial real estate with more than 50 years’ experience. For more information, visit www.JRESgroup.com. Nimbus Investment Fund, LP, an independent affiliate of Emerald Hospitality Associates, announced today that it has completed its acquisition (as General Partner of a Limited Partnership) of the SpringHill Suites by Marriott hotel located in Waco/Woodway, Texas. The SpringHill Suites is an 82 room select service hotel ranked in the top ten in North America for the SpringHill Suites brand. This property will be managed by Emerald Hospitality.